HP ENVY x2 11-G004TU, a tablet err a notebook or oh wait! It’s a bit confusing. Is it both? The answer is: Yes, HP delivers this new entry in the market trumpeting it as 100% both, tablet and a notebook. The highlight here is the detachable screen off a complete notebook or you can look it as the other way round, one or the same thing. So now if you thing the space around you is too cramped (especially while travelling) spare your notebook and just use the transformed tablet out of it. Since we write about tablets, we would selfishly recommend you to use it more often like a tablet. 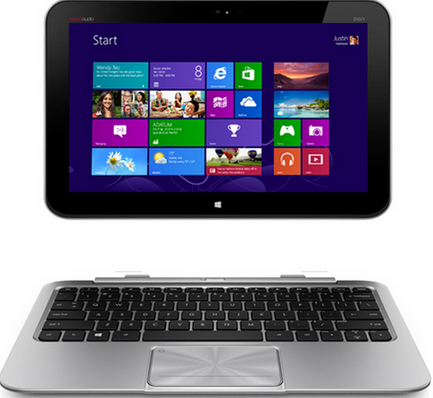 With HP intrinsic features like HP Smart Touch, Beat Audio and HP Cool Sense, this tablet bundles up into a nice buy. With the power of two batteries ie, one in the tablet and other in the notebook, the device promises amazingly more than 19hrs of run. Indeed it’s an expensive ask for someone looking just for a tablet. But combining all, it is a good deal. Check the Milagrow X11 tablet which also falls in the same price range slot.